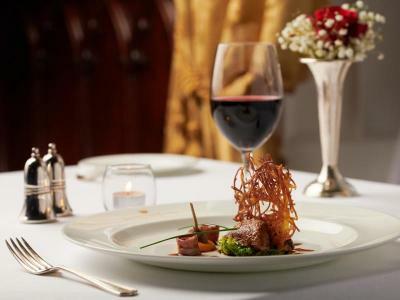 Table d'hote Dinner for two in the Earl of Thomond Restaurant. The Earl of Thomond is an award-winning restaurant in Clare of international renown. Under the careful guidance of Executive Chef David McCann, this Clare restaurant offers a relaxed but elegant dining experience. Innovative cuisine is served with tradition and a hint of creative flair in this 5 star Irish castle restaurant. 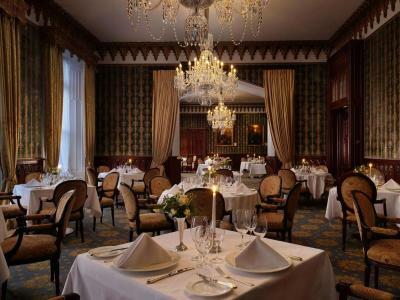 Enjoy a Fine Dining Experience in the Earl of Thomond Restaurant - a Sumptious Dinner for two in elegant surroundings. Combining a wealth of fresh, locally sourced produce with an extensive selection of dining options including a la carte, gastronomic and daily table d'hote menus, there is something for everyone at this 5 star award winning restaurant.